SEOUL, South Korea, July 31, 2016 /PRNewswire/ -- DJI, the world's leading maker of unmanned aerial vehicles, will open a DJI Arena in Korea, providing a safe and enjoyable environment for customers to learn how to fly a drone and a gathering place for aerial enthusiasts. The 1,395-square-meter arena is located in Yongin, Gyeonggi Province, 49 kilometers south of Seoul, and will open in mid-August. "DJI is committed to making aerial technology more accessible and easier to learn for anyone who wants to use it, and the DJI Arena is a great example," said Moon Tae-hyun, DJI Korea's Country Manager. "We hope to provide a safe and fun environment for people to experience the technology first hand, whether they are skilled enthusiasts or someone who is just curious to learn. Best of all, the indoor venue will provide a space for people to fly all year round despite weather conditions outside." The DJI Arena will be open for individual and group bookings, corporate event rental and a venue for DJI's New Pilot Experience Program and workshops. For skilled drone pilots and UAV clubs, the arena can also offer the stage for more advanced flying experiences and drone racing. Just four months ago, DJI opened its first overseas flagship store in Hongdae, Seoul. The Korea Flagship store has now become a gathering place for aerial enthusiasts to learn about DJI's latest aerial platforms and camera equipment. Information about the arena's availability and reservation will be available after mid-August. DJI is a global leader in developing and manufacturing innovative drone and camera technology for commercial and recreational use. DJI was founded and is run by people with a passion for remote-controlled helicopters and experts in flight-control technology and camera stabilization. The company is dedicated to making aerial photography and filmmaking equipment and platforms more accessible, reliable and easier to use for creators and innovators around the world. DJI's global operations currently span North America, Europe and Asia, and its revolutionary products and solutions have been chosen by customers in over 100 countries for applications in filmmaking, construction, emergency response, agriculture, conservation and many other industries. SEOUL, South Korea, July 31, 2016 /CNW/ -- DJI, the world's leading maker of unmanned aerial vehicles, will open a DJI Arena in Korea, providing a safe and enjoyable environment for customers to learn how to fly a drone and a gathering place for aerial enthusiasts. The 1,395-square-meter arena is located in Yongin, Gyeonggi Province, 49 kilometers south of Seoul, and will open in mid-August. Sands, Asia's leading entertainment destination. Beijing Olympic Broadcasting and now LeSports. The award-winning All That Matters festival will be hosted this September 12-15 at Marina Bay Sands. Fully supported by the Singapore Government, the conference will bring Music Matters, Sports Matters and Digital Matters events all under one roof. Recognized as the gateway to the Asian entertainment industry, All That Matters is a unique "Business2Business2Fan" festival experience, expected to attract thousands of executives and fans from all over the world. Leading industry executives confirmed to speak at the event include Live Nation Entertainment's Chairman of Global Music & President of Global Touring Arthur Fogel, Grammy award-winning music group Pentatonix, WWE's Chief Brand Officer & TV personality Stephanie McMahon, Sony Music's Chairman & CEO, Australia and New Zealand & President, Asia, Denis Handlin AM, and more to come. "After 5 wonderful years at The Ritz-Carlton, we are moving to a bigger home to accommodate our expanded format of Music, Sports and Digital Matters plus some other surprises to follow. A big thank you to our previous hosts for helping All That Matters grow into the award-winning entertainment extravaganza it is today," said co-Founder and CEO of Branded, Jasper Donat. Now in its 11th year, Music Matters will continue to be the meeting point for the creme de la creme of the global music business, to further develop and discuss the future of the Asian music market. It features insights from music industry thought leaders during the day, and live music showcasing emerging artists from around the world during the Music Matters festival. For the first time, Sports Matters will be included in the All That Matters festival, adding a distinct yet complementary dimension to the line-up. Now in its 4th year, Sports Matters has always been committed to promoting and developing a sustainable Asian sports industry. The additional learnings and cross-pollination that will occur in becoming part of the All That Matters festival will undoubtedly allow the event to continue fulfilling its remit. Digital Matters is coming back to the All That Matters festival to be the leading discussion on the creation and broadcast of online content, acting as the meeting point of the traditional entertainment industry and content makers, and digital creatives. The event will feature discussions on content creation, distribution and monetisation for the new online consumer - the digital native, covering hot topics such as Virtual Reality and the OTT marketplace in Asia. Producers of the YouTube FanFest and "Matters" event series including Music, Sports and Digital Matters, Branded designs, sells, markets and produces award winning B2B2C and B2B2F(an) events in Asia. Founded in 2002 and listed as a top 10 Event Marketing agency by Marketing magazine, Branded's focus is to add value and grow the media, sports and entertainment industry in Asia. Branded is an expert in connecting people through the organisation, programming and production of dynamic conferences, live music festivals, academies, and youth fan events in Asia. Branded is an independent company staffed by passionate multi-cultural, multi-lingual and multi-talented individuals with offices in Hong Kong and Singapore. LOS ANGELES, July 31, 2016 /PRNewswire/ -- comScore (NASDAQ: SCOR) today announced the official worldwide weekend box office estimates for the weekend of July 31, 2016, as compiled by the company's theatrical measurement services. As the trusted official standard for real-time worldwide box office reporting, comScore provides the only theater-level reporting in the world. Customers are able to analyze admissions and gross results around the world using comScore's suite of products. comScore's Senior Media Analyst Paul Dergarabedian commented, ""Universal's 'Jason Bourne' proved that Matt Damon in his return to the franchise was an irresistible draw in 46 international markets as the film grossed $50.1 million this weekend & a combined $110.1 million including North America. Notably, it was the No. 1 film at the international box office and posted the biggest international opening weekend of all the Bourne films. In fifth place, the China fantasy action movie 'League of Gods' starring Jet Li earned $30 million this weekend internationally in just 7 markets." The top 12 worldwide weekend box office estimates, listed in descending order, per data collected as of Sunday, July 31, are below. The top 12 domestic weekend box office estimates, listed in descending order, per data collected as of Sunday, July 31, are below. © 2016 comScore - Content in this chart is produced and/or compiled by comScore and its Box Office Essentials and International Box Office Essentials data collection and analytical services, and is covered by provisions of the Copyright Act. The material presented herein is intended to be available for public use. You may reproduce the content of the chart in any format or medium without first obtaining permission, subject to the following requirements: (1) the material must be reproduced accurately and not in a misleading manner; (2) any publication or issuance of any part of the material to others must acknowledge comScoe as the source of the material; and (3) you may not receive any monetary consideration for reproducing, displaying, disclosing or otherwise using any part of the material. comScore (NASDAQ: SCOR) is the cross-platform measurement company that precisely measures audiences, brands and consumer behavior everywhere. comScore completed its merger with Rentrak Corporation in January 2016 to create the new model for a dynamic, cross-platform world. Built on precision and innovation, our unmatched data footprint combines proprietary digital, TV and movie intelligence with vast demographic details to quantify consumers' multiscreen behavior at massive scale. This approach helps media companies monetize their complete audiences and allows marketers to reach these audiences more effectively. With more than 3,200 clients and global footprint in more than 75 countries, comScore is delivering the future of measurement. For more information on comScore, please visit comscore.com. which runs until midnight tonight (Sunday 31st July). tickets have already sold out. - Friday Extreme Brunch at Yas Trackside Terrace. Both are available to book online now. and Yas Waterworld, Abu Dhabi. weekend at a discounted rate. You can also download YasHUB from the Apple of Android stores. (0) 2 659 9800 [http://tel:%2B971%20%280%29%202%20659%209800 ]. Come milk a mechanical cow and this Saturday, exclusively in Quebec, worldwide phenomenon Pat'Patrouille will make children happy. SAINT-HYACINTHE, QC, July 29 2016 /CNW Telbec/ - Media representatives are invited to l'Expo de Saint-Hyacinthe, the largest agricultural festival in Québec, from July 27(th) to August 6(th). This event welcomes around 200 000 visitors per year. In 2016, the traditional agricultural exposition brings back its classics and renews itself with a dozen of novelties including the exclusive presence this summer in Quebec of the phenomenon, Pat'Patrouille. In fact, this Saturday, during Télé-Québec Day and thanks to Spin Production Company, children will delighted to see their idols. L'Expo has been standing out for over 7 years as a reference in entertainment for children and especially this year with over 50 quality shows for families and its educational activities. To enhance even more the quality of its niche, l'Expo offers something new this year, free entrance to the site with access to the rides for children aged 5 years and under. On the agricultural front, the young and young at heart will be able to milk a mechanical cow in addition to learning more about agricultural technological advances including, among others, milking robot MR-S1 from Boumatics Robotics and Leblanc Robotique, a Quebec company which stands out at the international level. Who says agriculture also says agribusiness. Did you know that in Quebec only over 21 000 meals are served on a daily basis? As part of their mission, l'Expo will offer culinary workshops where local dairy products will be showcased. The Strong Mean Circuit, present the best competing athletes among them Jean-François Caron, who was introduced during the opening on Wednesday at 6:30 P.M. At night, Hugo Lapointe kicked off the impressive show series which will be held every evening. There will be pop, rock, country featuring the duo of the year: 2 Frères, Gildor Roy, Annie Blanchard as well as folkloric group Les Chamaniers. Located closed to Montreal, l'Expo de St-Hyacinthe is presented by Desjardins . There are over 2 100 animals, Grand National Tractor Pulling, Agricultural Museum, new local products and over 100 musical shows, Provincial Hitching Contest, Strong Men Circuit, rodeos, 77 culinary workshops and so much more. Mrs Nicole Ménard, Liberal Member of Parliament in Laporte, President of Government Caucus and sponsor of St-Hyacinthe County, was present at the opening banquet on Thursday July 28(th). Tanger Outlets CEO Steve Tanger Appears on CNBC's "Mad Money with Jim Cramer"
GREENSBORO, N.C., July 29, 2016 /PRNewswire/ -- Tanger Factory Outlet Centers, Inc. (NYSE: SKT) today announced that the company's President and CEO, Steven B. Tanger, appeared as a featured guest on CNBC's "Mad Money with Jim Cramer" on Thursday, July 28, 2016. During his segment, Tanger talked about the consistent strength of the outlet market despite a volatile retail industry. Over the past year, Tanger Outlets has opened five new centers located in Savannah, GA; Mashantucket, CT; Grand Rapids, MI; Southaven, MS; and Columbus, OH. Since 2010, the company's footprint has grown by 47%. To view the appearance, click here. For more information on Tanger Outlets, visit www.tangeroutlet.com. Tanger Factory Outlet Centers, Inc. (NYSE:SKT), is a publicly-traded REIT headquartered in Greensboro, North Carolina that presently operates and owns, or has an ownership interest in, a portfolio of 43 upscale outlet shopping centers and one additional center currently under construction. Tanger's operating properties are located in 21 states coast to coast and in Canada, totaling approximately 14.7 million square feet, leased to over 3,100 stores which are operated by more than 490 different brand name companies. The Company has more than 35 years of experience in the outlet industry. Tanger Outlet Centers continue to attract more than 185 million shoppers annually. For more information on Tanger Outlet Centers, call 1-800-4TANGER or visit the Company's website at www.tangeroutlets.com. About CNBC's "Mad Money with Jim Cramer"
Hosted by Jim Cramer, the "Mad Money" mission is educational: to teach you how to analyze stocks and the market like a pro. BALTIMORE, July 29, 2016 /PRNewswire/ -- Sinclair Broadcast Group, Inc. today entered into a Consent Decree with the Federal Communications Commission resolving a number of previously disclosed matters that have been pending at the FCC, some for more than a decade, and several involving recently acquired stations. These matters related to certain content broadcast on Sinclair stations, technical issues relating to local marketing agreements, and the FCC's rule regarding joint retransmission consent negotiations. Mo Pitney Reveals Debut Album And Track Listing "Everywhere"
NASHVILLE, Tenn., July 29, 2016 /PRNewswire/ -- Critically acclaimed country star Mo Pitney revealed his debut album and track listing to fans today. The debut album, Behind This Guitar, is available Friday, October 7(th) and features 10 of 12 tracks penned by the songsmith himself along with a who's who of top Nashville songwriters. Mo Pitney, already one of country music's most named artists to watch by the likes of Rolling Stone Country, The Huffington Post and Billboard, who proclaimed Mo as "one of the strongest male vocalists to come along in some time," offers fans three songs instantly with pre-order including the new single, "Everywhere," which Pitney wrote with established hitmaker Phil O'Donnell and Songwriter Hall of Fame member Dean Dillon. Other songs available with pre-order include "Country" and "Boy And A Girl Thing" which prompted Bobby Bones of iHeartMedia's The Bobby Bones Show to include Pitney in his "Who Will Blow Up in 2016" list. NASHVILLE, Tenn., July 29, 2016 /PRNewswire/ -- Curb Records' rising star Ruthie Collins and CMT teamed up to premiere Collins' newest music video, "Dear Dolly" today across CMT, CMT Music and CMT.com. The song, originally written by Ruthie, Natalie Stovall and Jessica Roadcap is self-described as "an open letter to Dolly Parton." The song's inspiration was formed during the writing session as several discussed the daily struggles of pursuing their dreams. "When we wrote this song, one of us was having a challenging day of being a female vocalist in this town, and one of us had gotten some information about the release of our record that we weren't too excited about," admitted Collins, saying that "The excuse was the gender. That got us a little fired up, and we were a little bit frustrated. We didn't know where to turn. This was about three or four years ago, and it just seemed like the state of Nashville at the time. There was nobody that we could reach out to for inspiration. One of us said, 'I wish we could write a letter to Dolly Parton. She's seen it all.'" The song's deeply personal lyrics read, "You don't know me at all. I didn't know who to write, I didn't know who to call. They say it's a man's world, and it's not that I'm not good enough, but nobody wants to hear little songs from a girl. I'll keep singing my heart out...because that's what you would do if it were you, Dear Dolly." No matter life's circumstances, Collins believes any woman can find something in the song that resonates. "The inspirational message is to guide all girls of any age to pursue your dreams regardless of obstacles," said Collins. Ruthie Collins was recently named as one of CMT's Next Women of Country, which launched in 2013 to give more attention and airplay to emerging female artists. The franchise was a precursor to acclaim for a number of artists on its roster, and subsequently spawned two female-fueled tours in 2015 and 2016. Collins will also be featured as part of the recently announced digital performance series "Next Women of Country LIVE" on CMT.com. Hard at work finishing, writing and co-producing her debut album, "Ruthie Collins' music is both a showcase for the richly interwoven clarity that is always a hallmark of great Country Music, and a surprisingly bold lesson in how to arrange and produce that music" (Huffington Post). Collin's multi-faceted artistry is on display with her love affair with all things vintage, carefully weaving in and out her musical passions along the way. Fans often find new music peppered within clever social media videos including 30 second DIY projects or her successful Pinterest Pass or Fail Series. 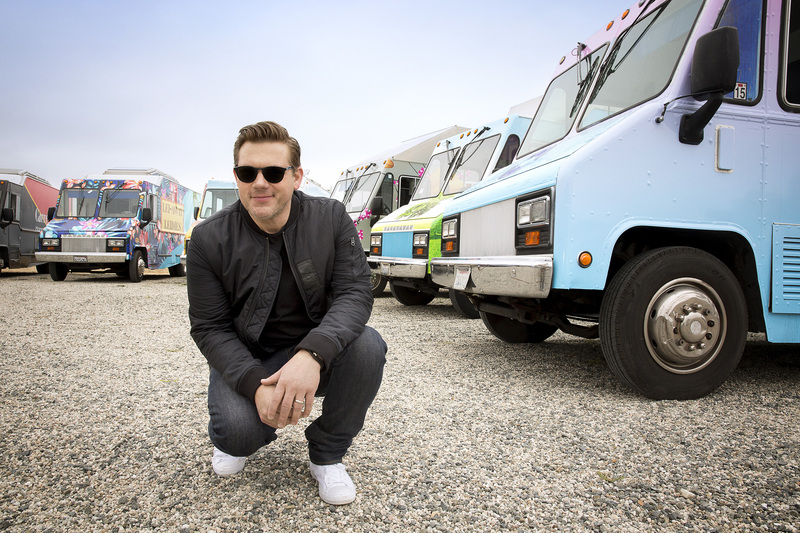 NEW YORK, July 29, 2016 /PRNewswire/ -- The Great Food Truck Race and host Tyler Florenceare back this August for a fierce food battle on wheels with a relative twist - this time, the six teams fighting for the $50,000 grand prize are family and have never operated a food truck before. 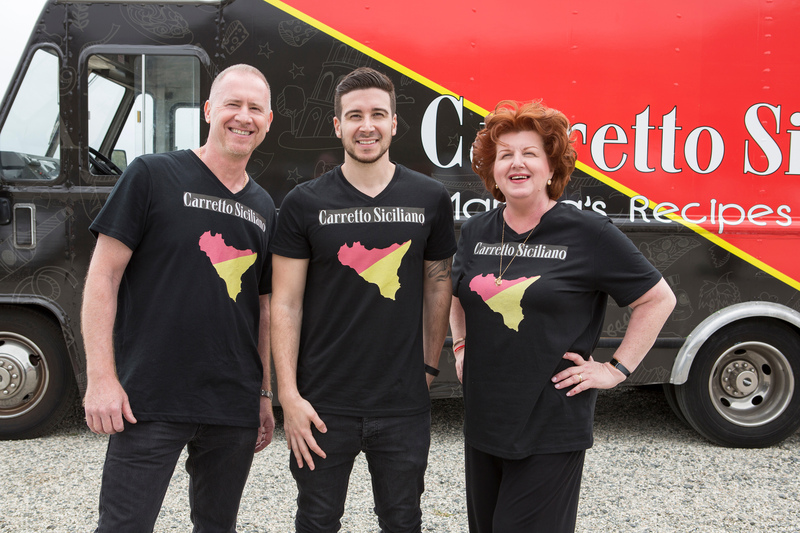 From a Chicago police officer and her sister to cheese expert identical twins to reality star Vinny Guadagnino (Jersey Shore), his mother and uncle, the competitors are all passionate about food and ready to hit the road cooking! The Great Food Truck Race: Family Face-Off premieres Sunday, August 28(th) at 9pm ET/PT and follows a scenic route from Los Angeles through the Southern California Sun Belt, leading up to the finale in Catalina Island on Sunday, September 25(th) at 9pm ET/PT where $50,000 is awarded to the last truck standing. 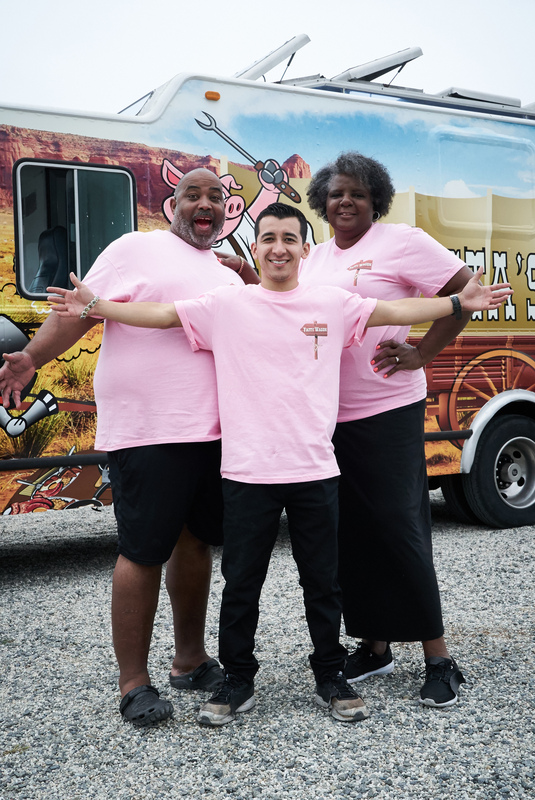 "Adding a family dynamic to The Great Food Truck Race takes this adventure to a whole new level of entertainment," said Didi O'Hearn, Senior Vice President, Programming, Food Network & Cooking Channel. "Watching these families test their culinary chops and navigate their personal relationships on the road really amps up the excitement and laughter." This season's competitors are: Bigmista's Fatty Wagon - Long Beach, California (Neil Strawder, Phillis Strawder, Eric Lara); Carretto Siciliano - Staten Island, New York (Vinny Guadagnino, Paola Guadagnino, Angelo Giaimo); Fortune Cooking - Milford, Michigan & Denver, Colorado (Tom Lin, Julie Hill-Lin, Tiffany Webster); Grilled Cheese All-Stars - San Francisco & San Diego, California (Michael Kalish, Charlie Kalish, Bryce Adams); Lei-Away Leidies - Provo, Utah & Laie, Hawaii (Carey Ofahengaue, Summer Prescott, Autumn Prescott) and Sweet Southern Soul- Chicago,Illinois & Atlanta, Georgia (Tiffany Ermon, Tikia Travis, Kizzma Snoddy). In the first episode, the six family teams kick off the race with a funnel cake eating contest at a theme park in Los Angeles. 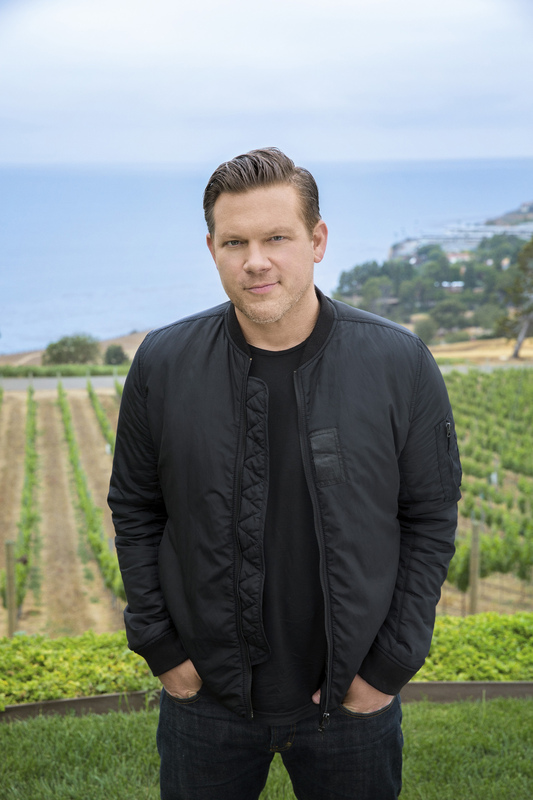 After leaving the park, host Tyler Florence gives the families their first signature menu cooking challenge. Then the teams go head-to-head in a bidding war for a prime selling spot on the theme park grounds. The least successful team is sent home, and these rookies realize operating a food truck is much harder than having fun in the California sun. The race then heads to Ventura County for a strawberry festival, an ostrich egg hunt in Santa Barbara, a roadside attraction challenge in Palm Springs and a finale in majestic Catalina Island where the $50,000 grand prize is awarded. Fans can discover more about The Great Food Truck Race: Family Face-Off, relive highlights, check out behind-the-scenes moments, and much more at FoodNetwork.com/FoodTrucks. Join the conversation on Twitter using #GreatFoodTruckRace. The Great Food Truck Race: Family Face-Off is produced by Critical Content. MISSISSAUGA, ON, July 29, 2016 /CNW Telbec/ - Bell today announced that it has successfully demonstrated Fifth Generation (5G) mobile technology in collaboration with Nokia. Conducted at Bell's Wireless Innovation Centre in Mississauga, the trial leveraged spectrum in the 73 GHz range to achieve sustained data speeds more than 6 times faster than top 4G mobile speeds now available in Canada. "Bell's strategic focus on driving broadband network and service innovation has been key to our transformation into Canada's wireless leader. The success of the first 5G trial means we are well positioned to lead the way to the next generation of mobile technology," said Stephen Howe, Bell's Chief Technology Officer and Executive Vice President. "Bell is working closely with Nokia and our other partners in North America and worldwide to create the network, device and application ecosystem required to ensure Canadians will be able take full advantage of the 5G opportunity." "We are excited to demonstrate a pre-commercial 5G system with Bell, which represents the first in Canada," said Alex Giosa, Country Senior Officer, Canada, at Nokia. "We have had a long and productive history with Bell, and look forward to our continued joint work and testing to discover what 5G technology can offer Bell's Canadian subscribers." "Canada's ability to compete in a digital world will be defined by our culture of innovation," said the Honourable Navdeep Bains, Minister of Innovation, Science and Economic Development. "This successful trial of next-generation 5G here in Canada is one example of how our country can become a global centre of innovation by being early adopters of emerging technologies." Bell leads Canadian communications providers in R&D investment and operates wireless innovation centres in Dorval, Québec; Mississauga; and Toronto. Offering Canadians access to the largest 4G wireless coverage footprint in the country, Bell's LTE network has been acknowledged as Canada's fastest by multiple independent analysts. Canada's largest communications company, Bell provides consumers and business customers with leading wireless, TV, Internet, home phone, small business and enterprise communications services from Bell Canada and Bell Aliant. Bell Media is Canada's premier multimedia company, with leading assets in television, radio, digital and out of home media. Founded in 1880, Bell is wholly owned by Montréal's BCE Inc. (TSX, NYSE: BCE).To learn more, please visit Bell.ca. The Bell Let's Talk initiative promotes Canadian mental health with national awareness and anti-stigma campaigns like Bell Let's Talk Day and significant Bell funding of community care and access, research, and workplace programs. To learn more, please visitBell.ca/LetsTalk. 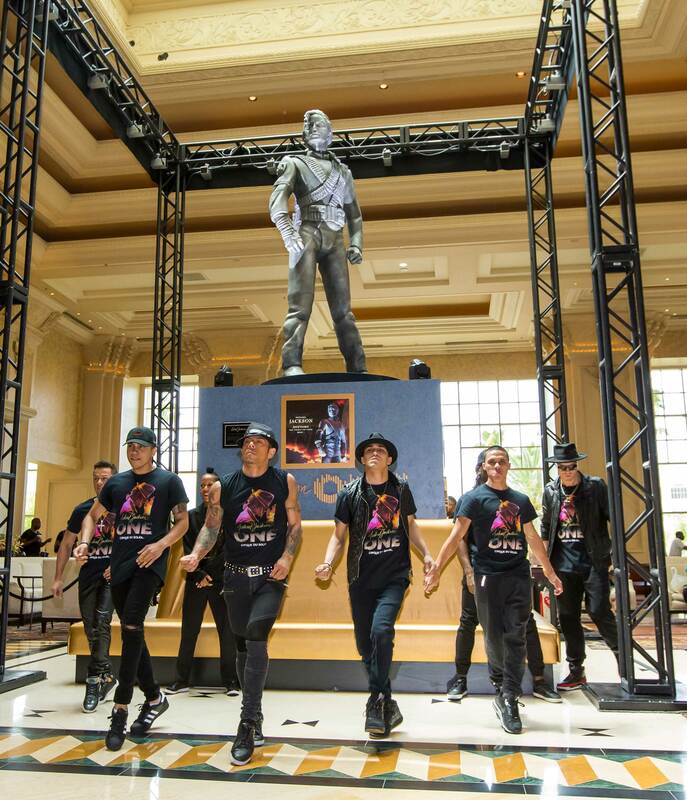 LAS VEGAS, July 29, 2016 /PRNewswire/ -- On Thursday, July 28, the Estate of Michael Jackson teamed up with Michael Jackson ONE by Cirque du Soleil and Mandalay Bay to pay tribute to the King of Pop as they unveiled his iconic HIStory Statue. Featured on the cover of his world-famous album HIStory: Past, Present and Future Book 1, which became the best selling multiple disc album worldwide, the HIStory Statue is the third piece of memorabilia to be loaned by the Estate for display on the Mandalay Bay property. The highly anticipated unveiling ceremony took place in the Main Lobby of Mandalay Bay, where fans had the opportunity to witness the live reveal of this historic sculpture. 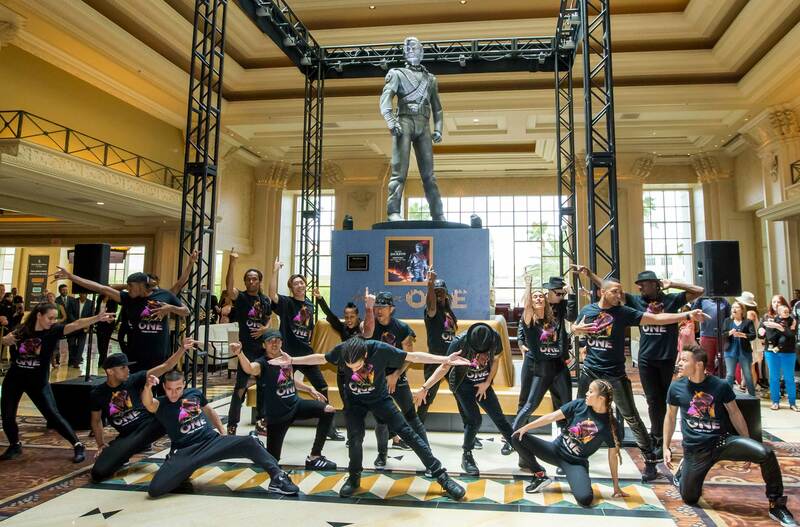 To welcome the piece, members from the cast of Michael Jackson ONE delivered a never-before-seen performance created especially for this event, dazzling the audience as they performed to "SCREAM," the first single from the HIStory album. Following the performance, fans were able to meet and take photos with those cast members. "There's a reason why Michael Jackson's spirit still lives on," said Jerry Nadal, Senior Vice President, Resident Shows Division at Cirque du Soleil. "It's the passion and love behind every song he created. It's the soundtrack he delivered to an entire generation and beyond. We certainly see this every night at Michael Jackson ONE as thousands of Michael Jackson, Cirque and music and dance fans of all ages and backgrounds collide to experience their favorite Michael Jackson songs in a new and innovative way. Now, this incredible statue stands with us as a testament to his legacy." On loan from the Estate of Michael Jackson, the HIStory Statue joins two other pieces at Mandalay Bay: Jackson's red and gold military-style jacket from his appearance at the 1984 American Music Awards and a pair of his iconic black loafers and crystal-encrusted white socks. An additional historical Jackson item will be revealed on Saturday, Aug. 27, kicking off a three-day birthday celebration for the King of Pop inside the ONE Theater. "Michael Jackson was and always will be an icon of our time," said Darren Davis, Vice President of Entertainment at Mandalay Bay. "We are so thankful that the Estate has been gracious enough to share this statue and all of the other precious Michael Jackson memorabilia with our property. Those who visit Mandalay Bay will have the opportunity to see these amazing pieces, and they are truly extraordinary." )From a group of 20 street performers at its beginnings in 1984, Cirque du Soleil is now a major Quebec-based organization providing high-quality artistic entertainment. The company has close to 4,000 employees, including 1,300 performing artists from close to 50 different countries. Cirque duSoleil has brought wonder and delight to more than 160 million spectators in 400 cities in sixty countries on six continents. In Las Vegas, Cirque du Soleil has seven permanent resident shows. In addition to Michael Jackson ONE, these productions include Mystère at Treasure Island, "O" at Bellagio Resort & Casino, Zumanity at New York-New York Hotel & Casino, KÀ at MGM Grand Hotel & Casino, The Beatles(TM) LOVE(TM) at The Mirage Hotel & Casino and MINDFREAK(®) LIVE! at Luxor Hotel & Casino. Michael Jackson is one of the most beloved entertainers and profoundly influential artists of all-time. He was also a dedicated philanthropist and an astute business professional. To date Jackson has sold in excess of 1 billion records worldwide, released 13 No.1 singles and became one of a handful of artists to be inducted twice into the Rock and Roll Hall of Fame. The Guinness Book of World Records recognized Jackson as the Most Successful Entertainer of All Time and "Thriller" as the Biggest Selling Album of All Time. Thriller has also become the first album in RIAA history to reach 3X Diamond status with sales in excess of 30 million copies in the US alone. Jackson won 17 Grammy Awards including 8 in one year, a record in itself, and received 26 American Music Awards, including the Artist of the Century Award. Jackson defined the art form of music video with such ground-breaking short films as "Billie Jean," "Beat It" and the classic "Thriller," which in 2009 became the first and only music video inducted into the National Film Registry of the Library of Congress. In his short films "Black or White", "They Don't Care About Us", "Bad and "Smooth Criminal" and others, Jackson set an aesthetic standard for music video production that remains unsurpassed even today. The Estate of Michael Jackson and Cirque du Soleil have produced two top shows: Michael Jackson THE IMMORTAL World Tour which remains one of the top grossing tours of all time; and MICHAEL JACKSON ONE, a permanent show at Mandalay Bay Las Vegas, which continues breaking box office records and receiving critical raves. Jackson's sound, style and dance moves continue to inspire today's performers and new generations of fans worldwide continue to discover his artistry through projects like the critically acclaimed documentary MICHAEL JACKSON's Journey From Motown To Off The Wall, produced by Spike Lee, John Branca and John McClain and directed by Spike Lee, which offers an insightful chronicle from Michael's early rise to fame through the release of the seminal album. 'Sprite Comedy Konkout by Culture Machine' is getting bigger and better with each day. of love. Without spilling any more beans, we suggest everyone to go watch the video. Stay tuned to Comedy Konkout's YouTube channel for more. comedians in one of its kind '#FakeOff' in tune with Sprite's on-going FakeOff campaign. MONTREAL, July 29, 2016 /PRNewswire/ -- Principal photography has begun on Screen Gems' suspense thriller, He's Out There. Yvonne Strahovski stars, along with Justin Bruening, Anna Pniowsky, Abigail Pniowsky, Julian Bailey and Ryan McDonald. Dennis Iliadis directs, from a script by Mike Scannell. Producers are Adrienne Biddle and Bryan Bertino of Unbroken Pictures. Glenn Gainor is executive producer. Yvonne Strahovski's film roles include I, Frankenstein, The Guilt Trip and Killer Elite, and she will next be seen in Marc Forster's All I See Is You. Her television credits include 24, Dexter and Chuck. Justin Bruening starred in the Knight Rider reboot series, and had major arcs on Grey's Anatomy and Ringer. The Pniowsky sisters, Abigail and Anna, play Strahovski's young daughters. Abigail Pniowsky will next be seen in Denis Villeneuve's upcoming Arrival. Julian Bailey has appeared in series such as NCIS, Quantico and The Young and the Restless. Ryan McDonald has been seen in 2012 and in the series Fringe. Dennis Iliadis previously directed Delirium and The Last House on the Left. He's Out There marks Mike Scannell's first feature screenplay. Rounding out the production team, Edward Wild is director of photography (London Has Fallen, Severance); Peter Cosco is production designer (Haunter); and Rick Shaine is editor (The Incredible Hulk, A Nightmare on Elm Street). He's Out There shoots until late summer in the Laurentians region, north of Montreal in Quebec, Canada. LOS ANGELES, July 29, 2016 /PRNewswire/ -- Keyboardist Gary Wright is the New Jersey-born psychology student who landed in London at the height of the rock revolution in 1967, where he founded Spooky Tooth and had a successful solo career producing the classic hits "Dream Weaver" and "Love Is Alive." Wright recorded Ring of Changes in 1972 with Wonderwheel, a band featuring Mick Jones, who would go on to found Foreigner, Lindisfarne bassist Tom Duffey and John Bonham-influenced drummer Bryson Graham, with Jones and Graham later joining him and Mike Harrison in a reunited Spooky Tooth. The planned follow-up to Wright's two previous solo albums for A&M Records, 1970's Extraction and 1971's Footprint, the finished record will be released for the first time to digital retailers through UMe and as a CD by Cherry Red internationally on July 29. "I hadn't listened to it in 40 years, but when I put it on, I thought to myself, 'I can't believe this was never released,'" says Wright. "It was more of a rock album than what I had done, but I think it stands up alongside anything that you might hear being played on Classic Rock radio around the world. I hope that people will be surprised by the material. I'm proud of it and I'm glad it's finally coming out so everyone can hear what we did all those years ago." Produced by Wright and one of the first albums to be recorded at the newly opened Apple Studios on Saville Row, Ring of Changes is remarkably eclectic in style, ranging from the funky blues of "Goodbye Sunday," with lyrics by Gary's sister Lorna Lee, featuring a George Harrison slide guitar solo that sounds like an outtake from All Things Must Pass (which Wright famously played on) to the Crosby, Stills & Nash folk-rock harmonies and Led Zeppelin "Stairway to Heaven" feel of the album's epic closer, "Creation." "That was the track that got me when I listened to the album again," said Wright. There are also stylistic nods to The Band in the soulful country of "Set on You," a rollicking Mad Dogs and Englishmen feel to the Hugh McCracken-penned "Something for Us All" and the previously released single, "I Know" (a bonus track which never appeared on the original album) with its The Who meets Bad Company flourish. "Goodbye Sunday" was previously released by the German label Ariola after it was featured in a ski documentary. Wright, who was originally introduced to George Harrison by his Hamburg mate Klaus Voormann, who played bass on Gary's first two solo albums, explains how the Beatle ended up playing slide guitar on "Goodbye Sunday," which was not the first time either - Harrison had previously played on Footprint under the pseudonym George O'Hara. "We were in the studio and I was showing him the song," explains Wright. "He just started playing slide guitar and came up with that line, which I think really worked." Wright was an American student in Germany when he formed the band the New York Tymes, who were the openers for Traffic's very first gig in Oslo, Norway, where he was introduced by his New Jersey buddy, producer Jimmy Miller, to Island chief Chris Blackwell, who put Gary with members of a band called Art to form Spooky Tooth. Wright first played keyboards on Harrison's "Isn't It a Pity," then went on to play on most of the rest of the All Things Must Pass album, as well as George's sessions for Ringo Starr's "It Don't Come Easy" and "Back Off Boogaloo." The pair became lifelong friends, sharing an interest in Eastern religions, with Wright contributing to several of Harrison's solo albums. Wright also played keyboards on Nilsson's classic "Without You." Upon signing with Warner Bros. in 1975, Wright released his classic album Dream Weaver, which produced a pair of hit singles in the title track and "Love Is Alive." "All good things last," says Wright about the album's appeal after all these years. "That music had the power to endure because of the songwriting and lyrical content. All those bands had something very special. It's stood the test of time." Ring of Changes offers proof that some things never change, even after 44 years - like the appeal of great rock music.